The team at Coastal Tax have an expansive amount of knowledge that could see your super fund succeed exponentially. We understand that Super can be quite overwhelming and a difficult concept to grasp, with numerous options to choose from, confusing fees, and mountains of information to sift through. Let us take the guess work out of what you need to give consideration when finding the right option for your future. Well, what’s stopping you from doing the same? Concerned that you will have sole responsibility for the investment decisions for the fund? Or maybe you’re not so sure about complying with the multitude of super and tax laws. 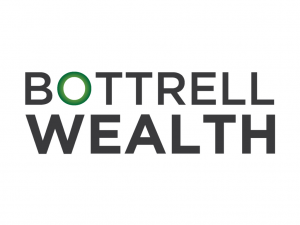 Don’t let this put you off, in affiliation with Bottrell Wealth under their licensee GPS Wealth, Bottrell Wealth are accredited SMSF service providers, and can help in the establishment, administration and strategies associated in setting up. If you’ve decided to manage your own super, Coastal Tax are ready to assist you set up a self-managed superannuation fund (SMSF). Your SMSF needs to be set up correctly to be eligible for tax concessions and to make it easier to administrate once up and running. Our experienced staff make this process hassle-free so you don’t have to stress about the details. Setting up a SMSF gives you control over the investment decisions for the fund and makes you responsible for complying with the super and tax laws. It’s a major financial decision and something you need the motivation, time and skills to undertake. We can help you navigate the complexities of setting up a SMSF including choosing individual trustees or a corporate trustee, creating the trust deed, preparing minutes appointing your trustees, registering your fund with the ATO and getting an electronic service address.